Cala en Forcat is a small, but relatively busy beach on the extreme west-coast of Menorca. It is 10 metres long and 12 metres wide. There are bars, sunbeds, shops, restaurants and supermarkets, a diving club, and a leisurly mini-train to the beach, but no lifeguard. Cala'n Forcat practically merges with its neighbours Cala'n Blanes and Los Delfines. From the airport (some 50 kilometers) head towards Ciutadella and then to Cala en Blanes. Hotel Globales Almirante Farragut is located in Ciudadella de Menorca, close to Cathedral of Menorca. 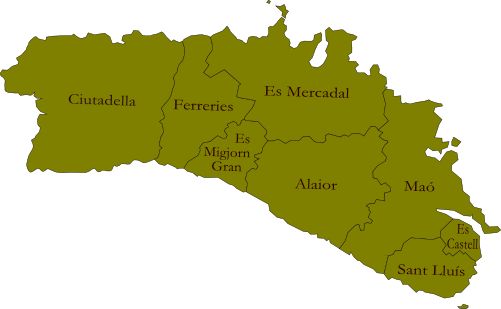 Additional area points of interest include Macarelleta Beach. Hotel Features. Hotel Globales Almirante Farragut features a restaurant, a poolside bar, and a bar/lounge. The hotel serves Buffet breakfasts (surcharges apply). Recreational amenities include an outdoor pool and a children's pool. Complimentary wireless Internet access is available in public areas. This Ciudadella de Menorca property has event space consisting of banquet facilities, conference/meeting rooms, and a meeting/conference room. Guest parking is complimentary. Additional property amenities include a rooftop terrace, barbecue grills, and gift shops/newsstands. Guestrooms. Air conditioned guestrooms at Hotel Globales Almirante Farragut feature safes and ceiling fans. All accommodations have balconies. Bathrooms feature handheld showerheads, bidets, and hair dryers. Televisions have satellite channels. Housekeeping is offered daily and guests may request in room massages. Notifications and Fees:The following fees and deposits are charged by the property at time of service, check in, or check out. Buffet breakfast fee: EUR 6.50 per person (approximate amount) The above list may not be comprehensive. Fees and deposits may not include tax and are subject to change.